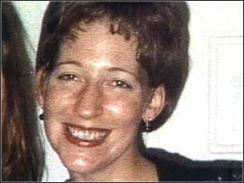 On October 24, 1998, Kristine Kupka, an honors student at Baruch College in Manhattan, disappeared after leaving her Brooklyn home with one of her former college instructors. Kupka and the instructor had begun a relationship when she was in his science lab, he was the father of the child she was carrying and they had argued over his insistence that she have an abortion. She had told several of her friends that she was afraid of him. He reportedly said he'd driven Kristine to a mall, waited outside in the car while she shopped, then dropped her off near her home. Kupka has never been seen again. I have been asked to look the Tarot with regard to Kristine. Please remember to read all the Tarot notes on this page so that you are aware of what Tarot can and cannot do. Tarot gives us glimpses of past present and future trends, it is not able to see every single detail and Tarot is not 100 per cent guaranteed by law as accurate. As far as Tarot can see this is our first card and seems to echo a travel card. The person on this card does show someone that Kristine knows it is a romantic card and suggests that she went with someone she knows and has a great liking for to somewhere that is near a lake or water edge. Often it might suggest here that she should have told a third party where she was going but as an upright card on the surface of it Tarot does agree that she was taken somewhere by someone she knows. The card is West and the number on this card is number 12. This can be divided to represent a 1 and 2 which may be route names or it can add to 3. If it adds to 3 it can link to motherhood and indeed sit next to a partner, boss , father or spouse. Theoretically there can often be 'boats' in this travel mode and could suggest somewhere that boats might figure. There could even have been a proposal of marriage here or it is simply an invitation to go somewhere but water seems to be the Key even though there is land here. This is a lovers card and one might be able to feel they could be close or confide to this person who may be in the age range of around 30'ish' equally it is better to say here is someone that Kristina feels she can trust to 'help her'? or that is what is implied. However, there might be something 'unexpected here' as this could also represent getting a lift but is often thought to be someone who might have opposing views. This seems to describe some kind of project or idea that was put to her but as there are opportunities to travel then we might be going somewhere there could be water, lake or water names. There are coastal references so all water areas might be suggested in names or actual along with possible references to fishponds, rivers, springs, watermills, water pumps, wells, marshy or watery ground, moats, springs, the ocean. There is a feeling of seclusion and retreat and therefore church names or holy places do come up here and 'angels'. Perhaps religious aspects? However, I have North West here and a smothering personality. I also have swimming pools and possible 'horse' references. Again a WEST direction does come up here but note that we have number 13 here dividing this number gives us 1 and 3 and we come up with 4 if added. This could represent again a water location as it can represent a lake and also could be showing us that location should not be revealed. This card can show a woman who keeps secrets and I wonder if location should not be revealed for a reason or indeed looking at the other side of it whether in fact it accuses one of being insensitive if we dig into this. Whatever the case there are suicidal links here and a smothering man so Im not sure whether we are to feel that is part of what happened or whether in fact location cannot be revealed because it gives away where a person might be. The linking cards seem to show that a car or train is 'halted' here sometimes it can be a car that crashes. Perhaps it could be showing us that there are deceptive qualities here. However, in my opinion we are getting a 'music name' here or someone who wont face the music. There is also some kind of reference that location can be used by manipulative people. So her location seems to be closely guarded as a secret by someone perhaps? but for good or bad that would be the question. North is what I seem to have with the sea, rivers and places near ponds or waters - brooks, springs, wells, wash-houses, sea shores, marshy land type places or names and it seems it could be somewhere familiar. This also can cover being under water or in basements or cellars. This is not far away from her 'home' card though I cannot be completely sure. An 'M' or 'W' might come up here and a possible white bridge and 'bells'. Finding Christine is not easy because this is a reversed aspect though we do have number 14 here or number 41. Maybe it relates to age or timing or route. If anything I would have thought its possible she would be found quite by accident. I feel there was a need to get away from unhealthy associations though so part of me is wondering if Kristine's diappearance is a secret to relieve her from difficult situations or whether it is actually negative with the water elements. I seem to see a triangle here and possible something gold or golden. The name Michael 'might' come up . A child would not feel blessed with two people. Some obvious conflicts arise through personal business or even spiritual or religious matters. It just seems that the entire matter is out of sync so either she was found or that it is still very much difficult to say when she will be because there is some conflict of interest here and also a lack of co operation. I think that needs to be sorted out to get some answers? Im seeing South EAST here possibly somewhere hot as heat and fire can come up and possibly horse/stables links. Landscape may be open fields, hill or highland . There is also some High elements such as upper rooms here, hearths fireplaces so it would be looking at descriptions of areas that represent this but also a feeling of 'space'. Tarot cannot guarantee any of its 'insights' as these are not accepted by Law but hopefully something here may be useful.